Raise your hand if you maybe-kinda-sorta waffle on your big budget plans. In your head you might decide, This month I’m going to make coffee at home every morning so I can put more money toward Christmas. But two days later it’s 7:45 a.m., you’re running late, and you know you’ll pass right by Starbucks on your way to work so . . . you do what we’ve all done. And you pledge to do better tomorrow. Well today we want to share a little tip—you can prepare for any budget temptations, challenges or confusions simply by teaming up with a like-minded pal. 1. Pick your accountability partner. For married folks, the answer is easy enough: your spouse brings built-in accountability. If you’re worried because you two are completely different from one another, don’t be. That’s actually a good thing! Savers and spenders, for instance, help balance each other out. The key is to agree on your financial goals and on the plan for reaching those goals. If you’re single, we suggest choosing a trustworthy friend or family member who will treat your personal information with care. You want someone who will tell you what you need to hear, not what you want to hear. Be sure to state up front what you’re looking for in an accountability partner to determine if they are willing and able to make the commitment. 2. Start with a bang! 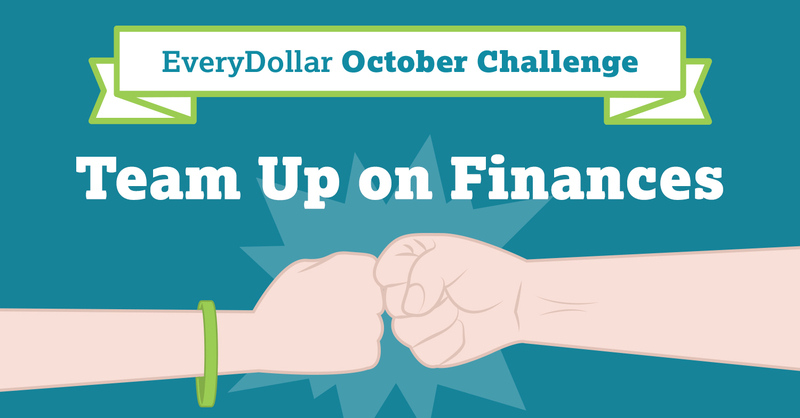 Plan a kickoff money date with your accountability partner to set the tone for your financial conversations moving forward. Husbands and wives may want to enjoy an evening walk to talk money dreams followed by dessert to plan the details. Depending on your accountability partner, you could schedule a girls’ wine night, have your dad over for dinner, or meet your brother for Saturday breakfast. No matter the company, be sure to discuss the basics: your current Baby Step, your savings goals, and your common budget blunders. Above all, make it fun! Create a chart to track progress or a dream Pinterest board to encourage yourself to save. 3. Keep the flame alive. No relationship—not even your relationship with money—is complete without regular hang time. So go ahead and schedule monthly, in-depth meetings with your accountability partner, as well as weekly check-ins to talk about daily purchases and to track your transactions. You can even start with daily texts for added accountability and encouragement if you like! Try to keep daily or weekly meetings short, maybe five to 10 minutes, but set aside an hour for monthly meetings. That way you’ll have plenty of time to talk about what worked—and what didn’t—the previous month, revisit your savings goals, and finalize your budget for the next month. Bonus tip: EveryDollar makes life easy! Sign in on multiple devices and your budget will always be at your fingertips. And with EveryDollar Plus you can stream transactions straight from your bank to your budget! Want to take your team to the next level? Join us for the Marriage & Money Live Stream on Monday, November 13. You’ll hear from relationship expert Dr. Les Parrott and money expert Rachel Cruze. With talks on love and finances, this is a date night worth investing in. And EveryDollar users are in for an extra-special treat! For the first time ever, your date night is on us! All EveryDollar users will be able to watch the live stream of the Money & Marriage event for FREE.